May 30, 2017. Lviv. Ukraina. Att: 150. 23oC. 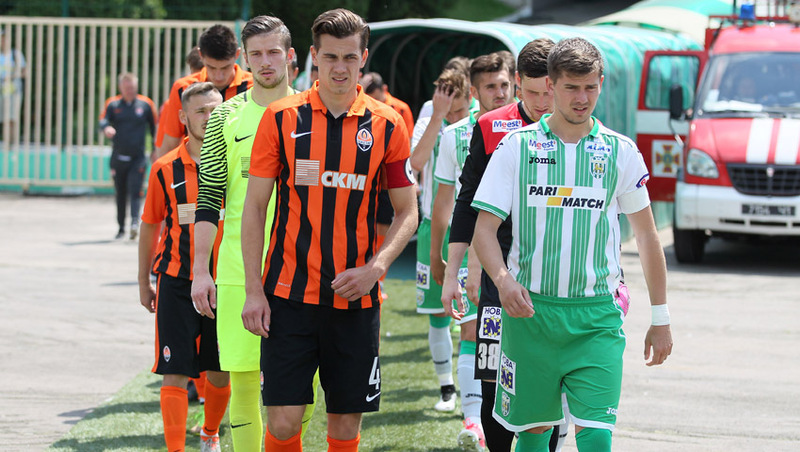 In the final round of the championship, the league’s second team Shakhtar (73 points) and the bronze medalist Karpaty (57 points) locked horns. This season, the opponents exchanged victories in Schaslyve, with another encounter ending in a draw. 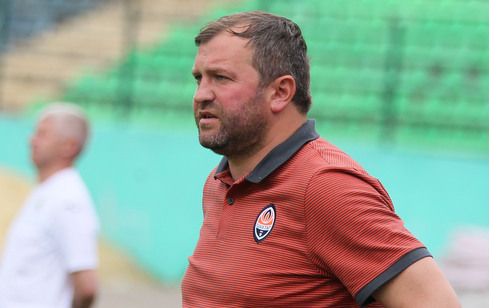 Shakhtar went to Lviv without defender Ihor Kiryukhantsev, captain Oleksandr Pikhalyonok and top scorer Giorgi Arabidze, who had been called up by the first team to prepare for the match against Oleksandriya. In their absence, the place in the line-up was given to Volodymyr Grachev, Andrii Korobenko and Oleksandr Hlahola. Also, the young Bondar, Kornienko and Topalov were left as substitutes. Their positions on the field were taken by Danylo Sahutkin, Oleksandr Masalov and Denys Arendaruk respectively. Besides, the U21 team coach Valeriy Kryventsov, who was sent off in the previous meeting, was following the game from the stand. The lack of competitive pressure affected the match: both teams from operated in an open and relaxed manner from the opening minutes. At the same time, the accustomed Shakhtar succeeded more in playing offensively. Already in the 20th second, Denys Arendaruk intercepted the ball in midfield and checked his long-range strike just to see it go over the crossbar. Five minutes later, he must have opened the scoring, but he sent the cross coming from midfield just above the goal again. After that, a long diagonal ball from the centre circle found in the box Roman Yalovenko, who was short of space to beat the goalkeeper in individual challenge. And then, the central defender and Shakhtar captain advanced to help the forwards. In the 19th minute, Taras Kacharaba responded to a corner kick by Arendaruk and headed the ball into the far corner to make it 1-0 in favour of the Donetsk team. But the Orange-and-Blacks did not slow down and often forced the Lviv side to make mistakes by pressing high up field. In one episode Hlahola intercepted the sloppy pass from an opponent and instantly struck from about 30 metres on the unguarded goal only to see his attempt go just wide. Yurii Hluschuk actively backed up the attacking moves: his solo runs ended with threatening the goal of Siletskyi. The hosts also tried to respond with dangerous counterattacks, but Shakhtar’s defensive third guided by Yevhen Hrytsenko acted unmistakably. Shortly before the break, the Donetsk team carried out an excellent attack: through one-touch passing game they covered the distance from their goal to the opposing goal, with Hlahola bringing Arendaruk through just to see the goalkeeper hardly stopping the ball. After the break, the game levelled off. Karpaty dominated possession for longer periods and more often threatening on Shakhtar goal. In a few moments, they lacked accuracy with the killer pass or the last shot. And yet the hosts managed to equalize: Midway through the half, Roman Lebed fired a long cross. The reaction of Shakhtar players followed immediately: Roman Yalovenko briskly entered the penalty area and hammered the ball into the top corner to make it 1-2. Immediately after that, the opponents staged an exchange of unconverted chances. Zaikin produced a header just to see it hit the bar, with Yalovenko sending it to the edge of the box to Ihnatenko – the ball by Danylo went just inches wide of the post. Again Ihnatenko headed it, receiving a pass from the left, but the bar saved the opponents. Karpaty did little in front, so they vented their anger with rudeness. Towards the end of the match, passions on the field turned into skirmishes. After one of the provocations by Lviv, Danylo Ihnatenko stood up for his teammate and received a second yellow card. But even being short-handed, the Miners continued to control the game and, after stopping the Galicians’ last attack, they brought the encounter to a logical outcome. 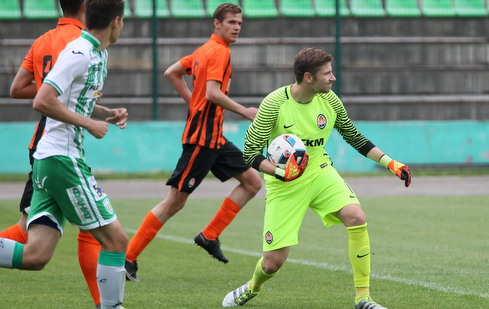 With their league victory in Lviv, Shakhtar U21 finish second this season. U21 team’s final result: 24 wins, 4 draws and 4 losses; they claimed 76 points with a goal difference of 74-15. The team go on vacation, starting to prepare for the new season in mid-June. - We are happy with the team’s attitude to this match: the guys approached the game responsibly, they were focused and did well on the field. We couldn’t count on the three main players who had gone with the first team to Oleksandriia, we also gave some rest to three more players. However, those to have replaced them, used their chance and showed their best side. Shakhtar had full control of the game, and even in the first half Shakhtar could have easily led with a difference of four goals. The second half turned out to be more even, with both sides creating chances, but, again, we dominated possession and fully deserved this victory. Now, in a good mood, we go on vacation and seriously think about the next season.